New Jersey has a deep history in distilling spirits that goes back to colonial times. 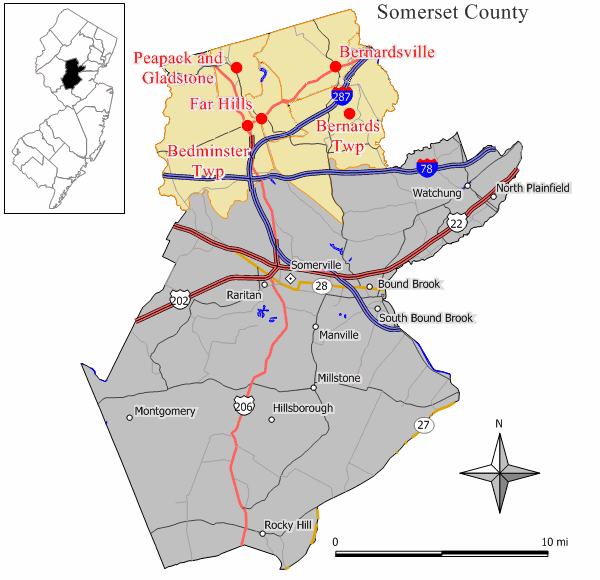 The Somerset Hills is a area in central New Jersey’s Somerset County grouping six similar towns, villages, and hamlets into a cohesive geographical area. 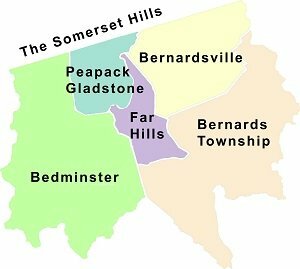 Those towns that comprise the Somerset Hills are: Bedminster, Bernards Township (Basking Ridge), Bernardsville, Far Hills, Peapack & Gladstone. Being from Basking Ridge, New Jersey there are written accounts that even with the foundation of Bernards Township back in 1760 where commitments were made from the Governor Sir Francis Bernard to supplement King Georges coiffeurs with spirits from the colonial area. So distilling was alive and well in the hills in the mind-1700’s! First of all, distilling, or distillation (where “still” comes from) is a process. It’s also a science (alchemy, chemistry). Distillation has a long history going back to the 1st Century. Archaeological evidence indicates that actual distillation of beverages began in the Jin and Southern Song dynasties in China. Aristotle talked about it in his Meteorologica. Bottom line – it’s been going on for a while. We can’t talk about distilling and spirits in America without talking about America’s prohibition era (1920-1933). So, we present you the History Channel’s overview of the history of America’s Prohibition era. “Declared the production, transport, and sale of alcohol illegal (though not the consumption or private possession). It was ratified January 16, 1919 and took effect January 16, 1920. For 13 years the Prohibition experiment took it’s toll on America and FDR knew it. Heck, it was even part of his platform to repeal the 18th Amendment. But you can’t just “repeal” a constitutional amendment, you need ANOTHER amendment to supersede another amendment. On Dec 5, 1933 at 5:32pm – the 21st Amendment was the first amendment ever repeal another amendment. Michigan was first to ratify (April 10, 1933), New Jersey was 5th to ratify (June 1, 1933). NO, Nada, Never Repealed another one. Do you know who the President was that signed the prohibition enabling 18th Amendment? 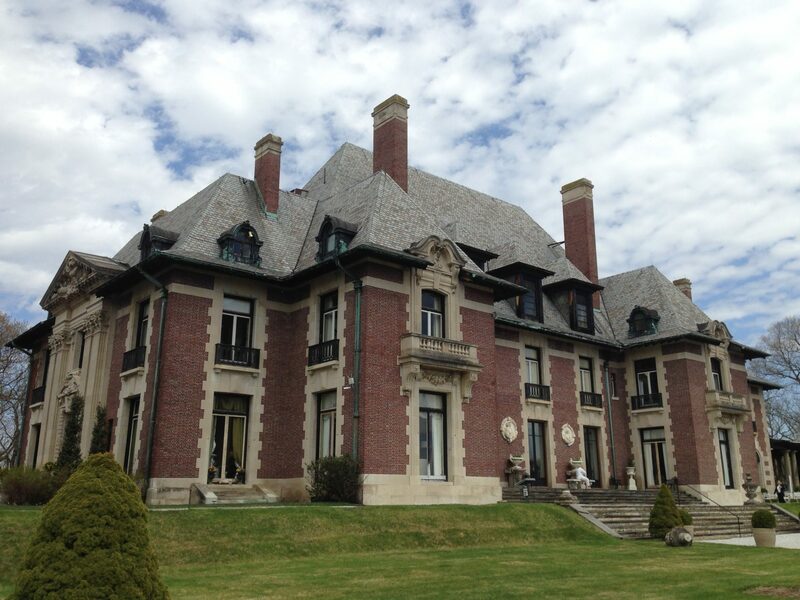 It was none other than the 34th Governor of New Jersey, President Woodrow Wilson. You know, the one who had that great Camp David’ish summer home in Long Branch (now Monmouth University). Yeah that guy! Take a tour of those digs…. So now you know. Blame Jersey! Well, not really. But it is clear Jersey had and continues to have a role in distilling spirits. Let’s take a look. 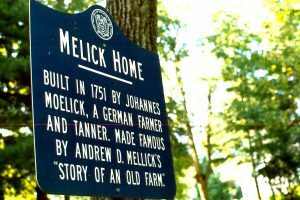 The Melick family is one of Bedminster’s first and has a long history of being one of the areas largest orchards. The Somerset Hills area, rich in German, Dutch, and Scottish heritage there are a few noted family names that held strong to the distilling practice. 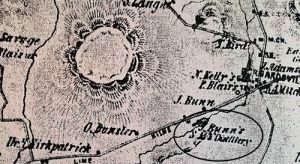 For both libations, as well as fuel, the names included such locals as the Melicks, Mellicks, Bunns, and others who have been distilling back to the early 1800’s. You see, the area was a orchard paradise, namely apples and peaches. Orchards were abundant to the area and used as a key ingredient for distilling alcohol. Bunns Mill, built by John Bunn in 1844 was the “industrial enterprise in Bernardsville”, according to the Bernardsville News. It ground wheat, rye, buckwheat, flour, corn, as well as serving as the areas cidermill and distillery. Seen on this map of 1850 is the Bunn Distillery on what is now Mine Brook Road in Bernardsville, home to the Bernardsville Township administrative offices. Right on the banks of the Mine Brook River, and just down the road from the Bernards Inn, the Bunn pond was often told where people would get their “bunn on”, a local term meaning they’d come purchase their apple & peach moonshine whiskey and get tanked while sitting by the water. 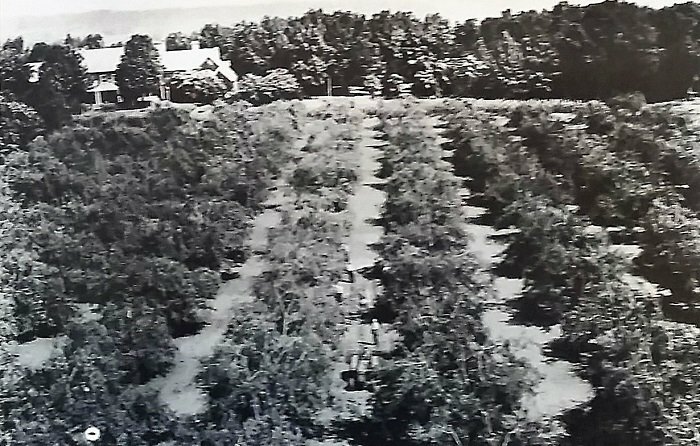 In 1935, the peach orchards of Cedar Hill were one of the largest in the Somerset Hills area. It was around the same time of this image that the great blight of orchards in New Jersey were devastated by the San Jose Scale, a bug like organism that killed all the peach trees in the area. The Bernards Inn, opened in 1906. In 1924, Bernardsville residents voted to secede Bernards Township and strike out on their own as as separate boro. The Bernards Inn became the centerpiece of political action in the boro serving as host to the new town hall from 1924-1932. For 8 years, this once old stable served as the boro hall, police headquarters (along with its own jailhouse) as well as having a bowling alley, auditorium, post office, theater, and a 35 room hotel with tavern. 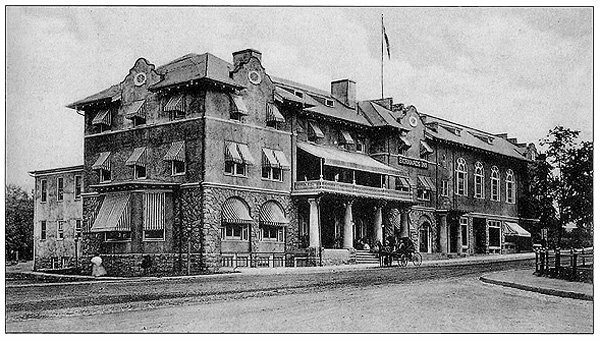 In addition to the Bernards Inn, each of the other hotels along the historic carriage Route 202 from Bedminster to Gladstone trail operated taverns/speakeasies and were all often raided by police. You’d have to figure that having boro hall along with those town officials in the same building as a speakeasy would be the best answer to reducing raids. 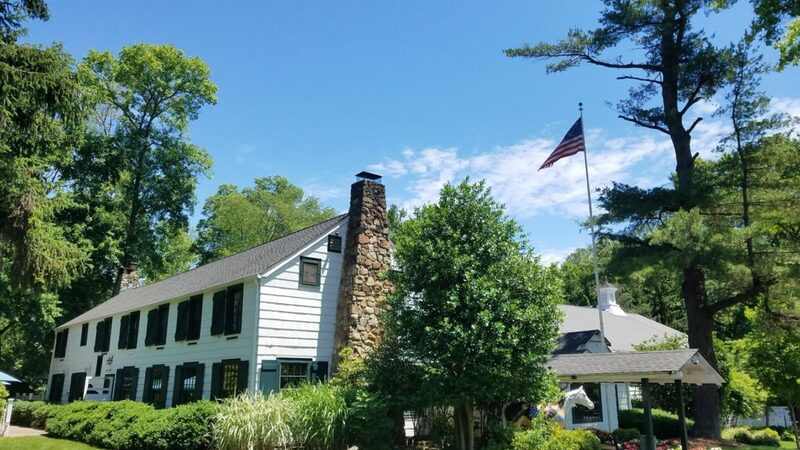 The Bernards Inn has been the anchor to Bernardsville since 1906 serving as host to everything a town ever needed including the hotel, tavern, boro hall, jail, movie theater, auditorium, haberdashery, bowling alley, and speakeasy. But, on November 18, 1929 federal agents made it into what was presumed to be one of four speakeasy’s in Bernardsville. Seems that Federal Agents got past the bouncer and purchased what was then illegal spirits. So they stayed, drank, left, then then came back with padlocks to lock down the establishment. This high profile raid involved Fred E. Stroehmer, the former lessee of the hotel. It took till June 1931 for a federal judge to throw out the charges stating “the government failed to prove the nuisance continued, a proper description was not given…and no liquor was found at the time of the raid”. Then, on March 31, 1930 at 10:25pm a fire broke out at the Bernards Inn consuming about a third of the building. Destroyed in the fire were the Bernardsville Boro offices and the police headquarters. Three fire companies brought the fire under control by about 3:00 am. Yet at 6:30am it was reported that the fire restarted. It was reported that Charles Pfadenhauer of Bernardsville was being held in a detention room on disorderly conduct “in conjunction with…violating prohibition laws, that had caused the fire.” Mr. Pfadenhauer was later charged with arson with bail being set at $5,000. The rumor was it was distilling (still) that caused the fire. There’s a great story of one of the New Jersey’s biggest distilling plant busts on Mt. Airy Road in Bernards Township. On May 25, 1933, just seven days before New Jersey ratified the 21st Amendment to end prohibition(June 1, 1933), Police Chief Louis A. Allen found himself at the Basking Ridge home of Mrs. Celia Kosloff. Based on complaints there was a increasing amount of pollution, along with dead fish, in the Harrison Brook, one of the area’s tributaries to the Dead River. Basking Ridge Police Chief Allen, along with the State’s Game Warden, Joseph Eggert, went to the brook and found its source on the banks of Mt. Airy Road. If you wanted to see where the bust occurred in 1935, you’d probably drive down Mt.Airy Road by the cemetery and say wow, it was here. Nothing else is there, so don’t think there’s a still still around. That baby was confiscated long ago! Found on the property was an operating still, ten vats, 10,000 gallons of mash (fermenting), two high pressure steam boilers, and a still capable of turning out a 1,000 gallons per day. The find came because of a complaint by local farmers that said their cows were getting sick from drinking the water. The plant was dismantled and handed over to federal authorities. They were fined $250. Let’s see how big that bust really was. 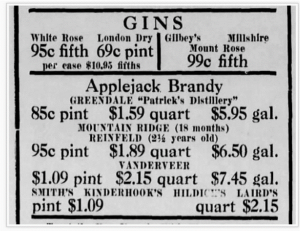 The ad shows what the typical price’s were back in 1936. A fifth (1/5th of a gallon) is similar to today’s 750ml bottle. Figuring 1,00o gallons a day, at 5 fifths, you’d have yourself 5,000 fifths. If it were applejack, you’d be talking about almost $6,000/day retail production or $2,190,000 a year based on the stated capacities. In today’s dollars, that’d be a $35.5 million a year business. On January 17, 2012, Governor Chris Christie signed into law reducing the annual distilling registration fee from $12,500 to $938, the same fee the state charges for microbreweries. This law also enabled the craft distilling industry to permit sales, tastings, and tours in New Jersey. A year later, in February 2013, the state issued its first distilling licence since prohibition to Jersey Artisan Distilling to begin distilling up to 20,000 gallons/year. The law would also clarified rules covering on-site public sampling, allowing micro-distillers to pour up to three half ounce samples per person/per day. According to the law, you also need to get 51% of your ingredients from New Jersey and pay a $938 licensing fee for a yearly craft distillery license (or one of three other types of distilling licenses). Act 1464 was sponsored by Assemblyman Reed Gusciora (Hunterdon and Mercer), Assemblywoman Connie Wagner (Bergen and Passaic), Assemblyman John Dimaio(Hunterdon, Somerset and Warren). The American Distilling Institute (TADI) supports the efforts of the craft distillers across the country. Today, due to the diligence of a few key individuals there are some Somerset Hills residents that are are pioneers to the revived craft distilling industry in New Jersey. 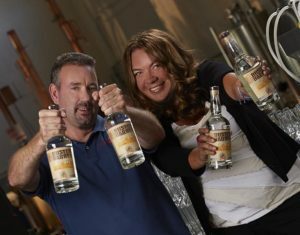 Somerset Hills noteworthy’s like Tim Koether of Bernardsville, owner of Claremont Distillery and Krista Haley co-founder of Jersey Artisan Distillery whose mom lives in Basking Ridge (Bernards Twp) are the three pioneers for craft distilling in New Jersey. It was Krista’s efforts along with co-founder Brant Braue of Jersey Artisan that lead to the first legal distillery in New Jersey since prohibition. Brant Braue and Krista Haley , the first get the prized NJ Craft Distillers license since Prohibition. On our visit, Brant showed us his favorite “mini still” where he experiments with mini batches before diving into a full blown batch. Jersey Artisan and Claremont are two of about six distilleries that are now craft distilling spirits in New Jersey. While New Jersey’s craft distilling industry is relatively small compared to others in Washington State, Oregon, Colorado and New York, distilleries are now focusing on local “farm-to-table” organic philosophies. It’s not by accident that Claremont, Jersey Artisan, and Jersey Spirits distillers all based in Fairfield, New Jersey. Because of New Jersey law, distilling is a chemical activity, and must be located typically in a zoned chemical area. But that might be changing. Like wineries, who like to “present” products alongside their vineyards, some craft distillers also want farming locations where they can grow their ingredients locally and get away from the industrial warehouse look. After a long application process, Jersey Artisan on February 7, 2013 was granted New Jersey’s first distilling licence since the prohibition ended in 1933. With their efforts, others followed. Typical distillery location – warehouse like sections of Fairfield are the home to this popup industry. This is Claremont Distillery’s homey looking location. Jersey Artisan’s claim to fame is their Busted Barrel light and dark rums and a new Morena rum. They also produce a new Whiskey called James F.C. Hyde Sorgho Whiskey. Other products are in the works. Claremont Distilled Spirits produces vodka (potato, peach, blueberry), moonshine, and eventually whiskey. Their “Claim to Fame” is their vodka which is the only product produced in the state to win a gold medal at the SF World Spirits competition, the preeminent spirits competition in the world. It also received a 93 point rating from Wine Enthusiast eclipsing Tito’s, Grey Goose, Kettel One, Stolichnaya, and Absolute. Another big one is an un-oaked whiskey, more familiarly known as Moonshine, which is an 80% proof spirit distilled from local corn. Just like vodka, whiskey comes off the still at 155% proof before being“polished down” to its double-distilled drinkable ABV. The “Jersey Devil Flaming Cinnamon” Moonshine is a reference to Pine Barrens legend the Jersey Devil, a mythical creature imbued with its own notoriety. As far as Claremont’s next distilling product, they plant to start their first bourbon distillation this week. Claremont Distilled Spirits plans to do a number of different bourbons and whiskies. “Our goal, say Koether, “is to ultimately have a facility that is both a destination and a provider of many of our ingredients. We are all about New Jersey and want to integrate as much of the Garden State’s agriculture as much as possible.” When asked what Tim’s credo is, he replied “You have got to take chances to do something great”. We agree! So Tim’s vision includes a move to hopefully Hunterdon County in the future. In 1834 there were over 838 distilleries in New Jersey. Lairds of Colts Neck was the biggest producer of Applejack in the country (now it’s the only one). 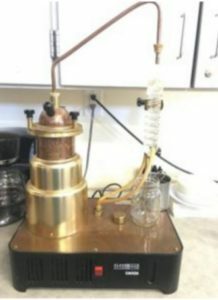 Laird & Company no longer distills in New Jersey but they are licensed to mix. Where’s Jersey going to be in the future regarding craft distilling? The future does look bright, or blurry depending on how much of these spirits you take in! 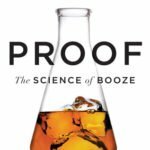 Watch “The Science of Booze” talk at Google with Author Adam Rogers. Funny how he sounds like a scientist, but he’s just a writer.